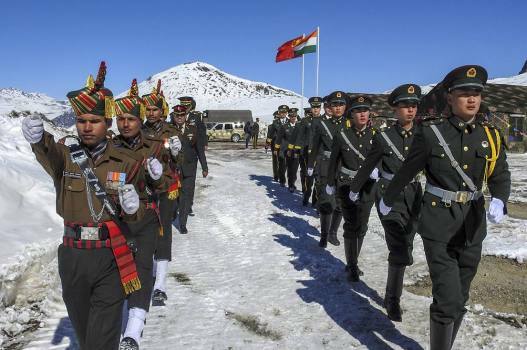 The border guarding troops of Indian and Chinese Peoples’ Liberation Army greet each other during a Military Border Personnel Meeting (BPM), in Bum-La pass. 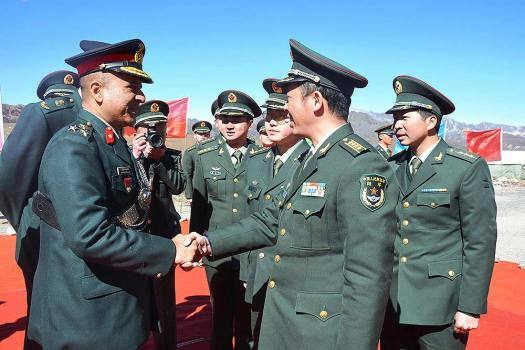 Indian and Chinese army officers exchange before a meeting on the occasion of National Day of China, at Bumla, the Line of Actual Control (LAC). 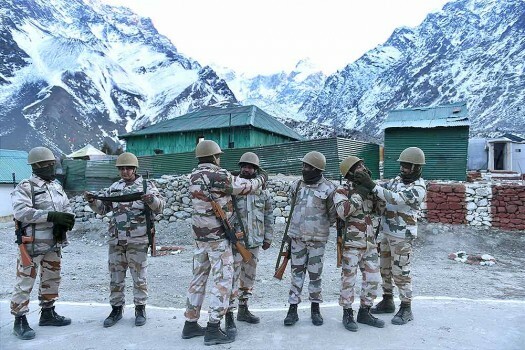 Jawans of Indo-Tibetan Border Police (ITBP) prepare for a guard of honour at the Nelong Border Outpost in Uttarkashi district of Uttarakhand. 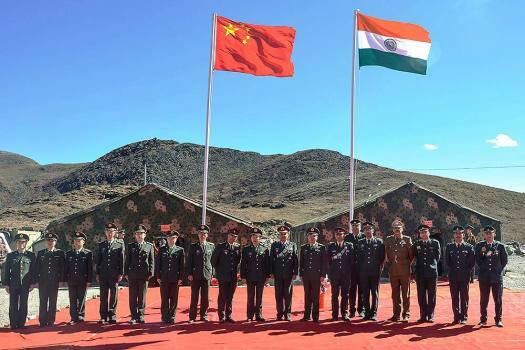 Indian and Chinese army officials during a special border personnel meeting at the Bum La Pass in Tawang district of Arunachal Pradesh. 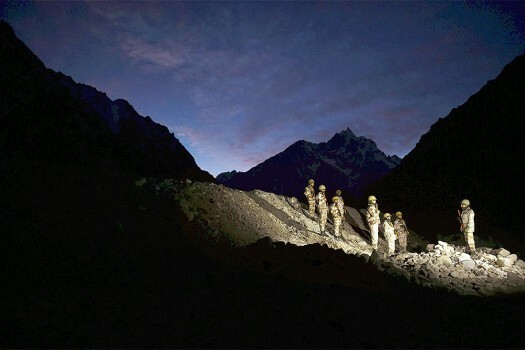 Five missing Army jawans still remain untraced since an avalanche that occured on Wednesday near Shipki La along the India-China border in Himachal Pradesh. 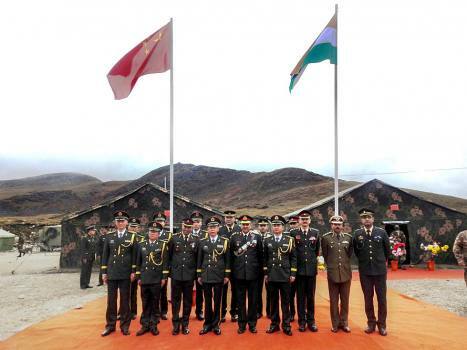 As Prime Minister Modi on Saturday inaugurated several developmental projects during his one-day visit to Arunachal Pradesh, China said such actions would "escalate" and "complicate" the border dispute. Speaking on India-Pakistan relations, Gandhi said Modi doesn't have 'a "deeply thought-out strategy" on Islamabad. 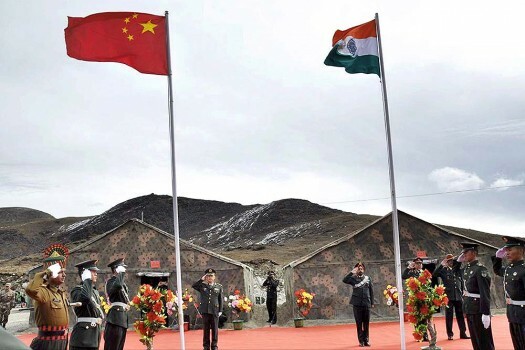 Last month, Zhaohui had said that neither India nor China can afford to have another Doklam incident. There is not an iota of change.The face off at sight has been resolved on August 28, 2017, she said during Question Hour.